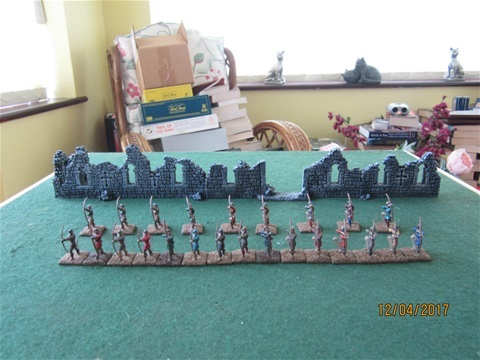 The succession of wars between the crowns of England and France over who should pay homage to whom and who owned which bit of the planet meant that at various times in the medieval period English troops fought on French soil and French troops fought on English soil. 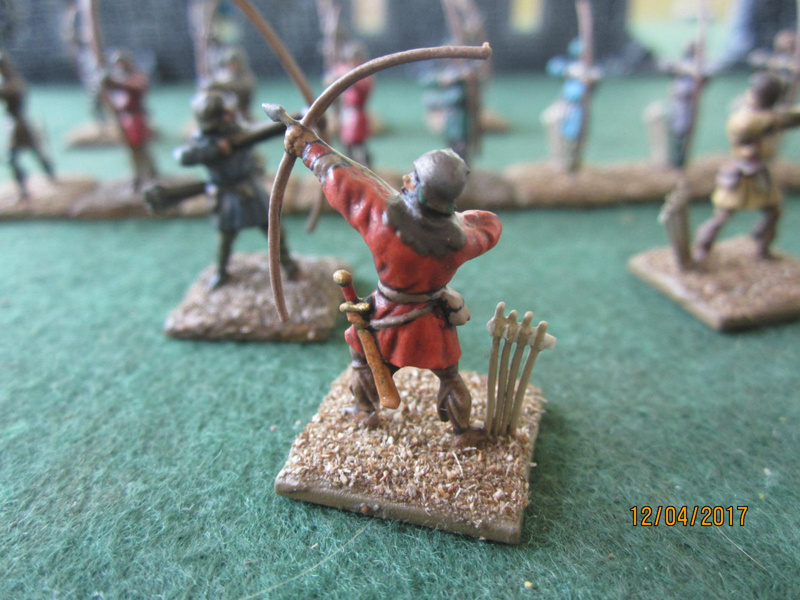 During the Hundred Years War the English had some notable victories such as Crécy and Agincourt. 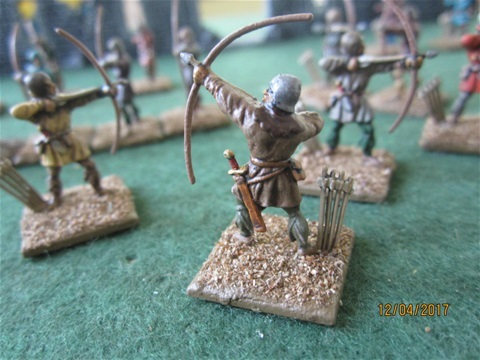 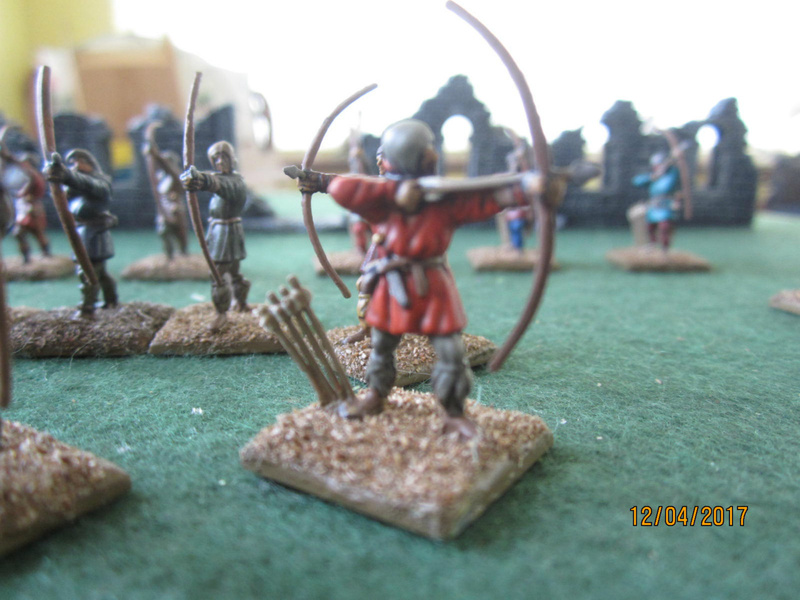 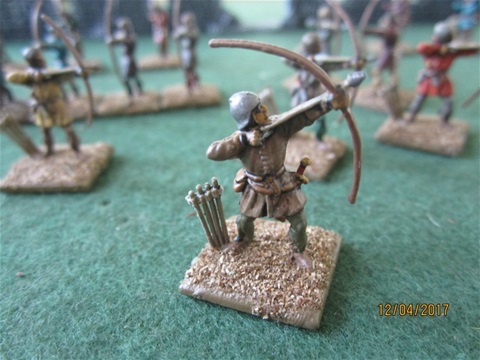 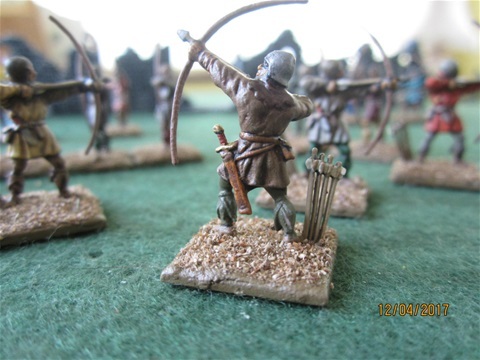 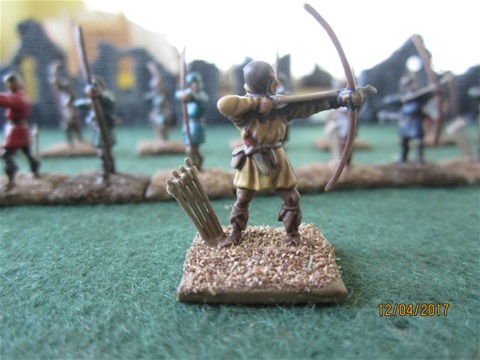 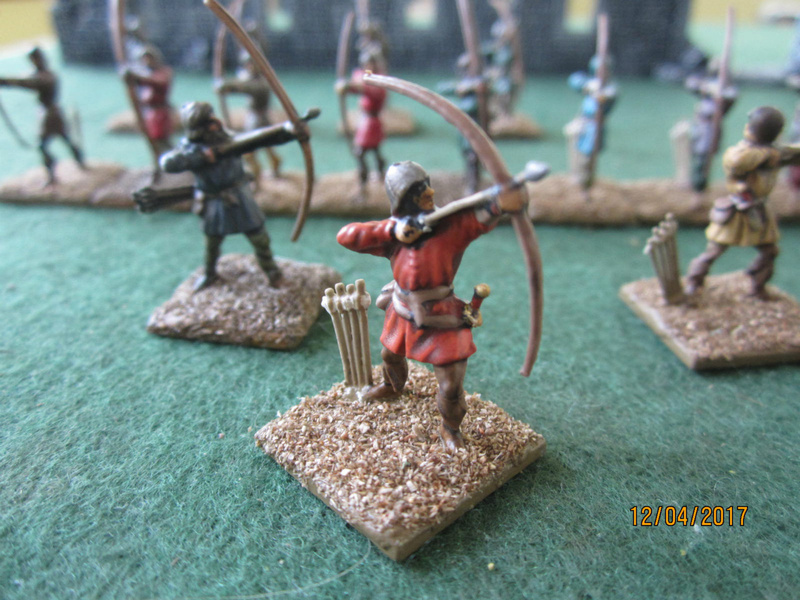 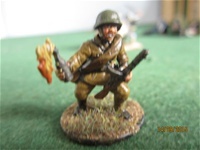 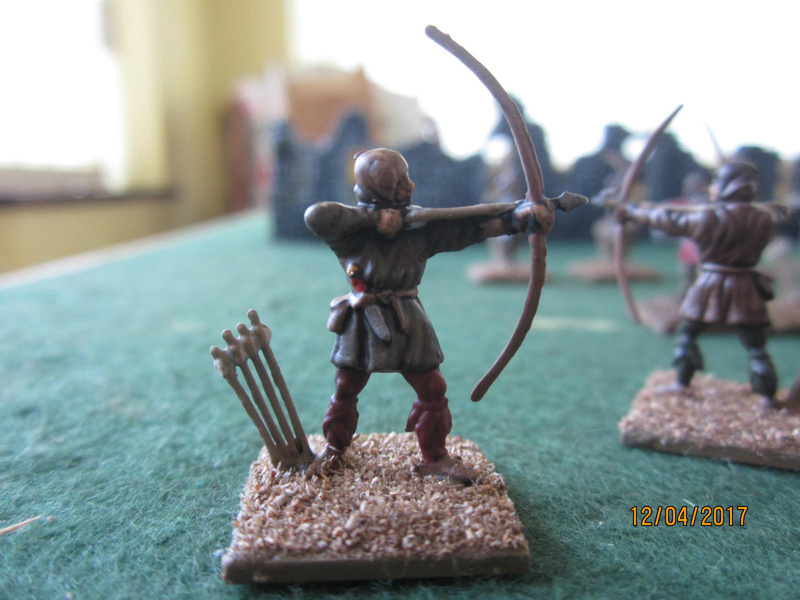 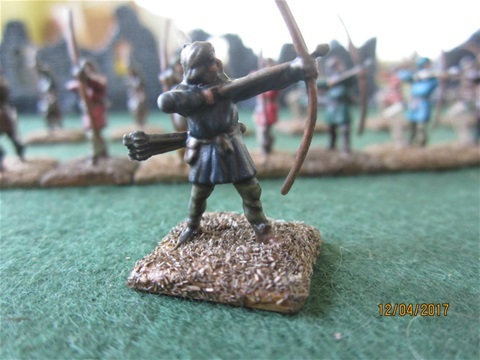 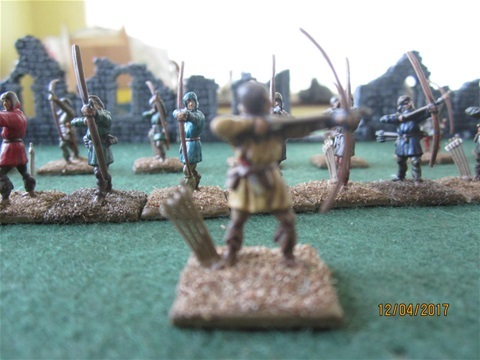 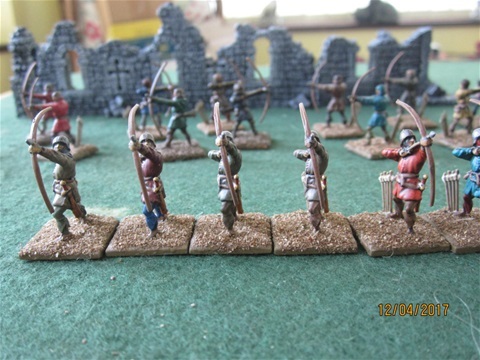 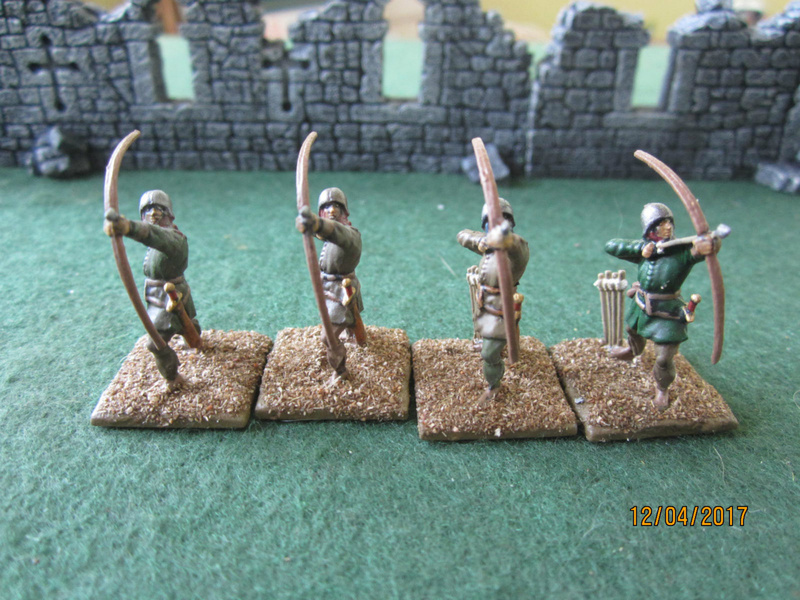 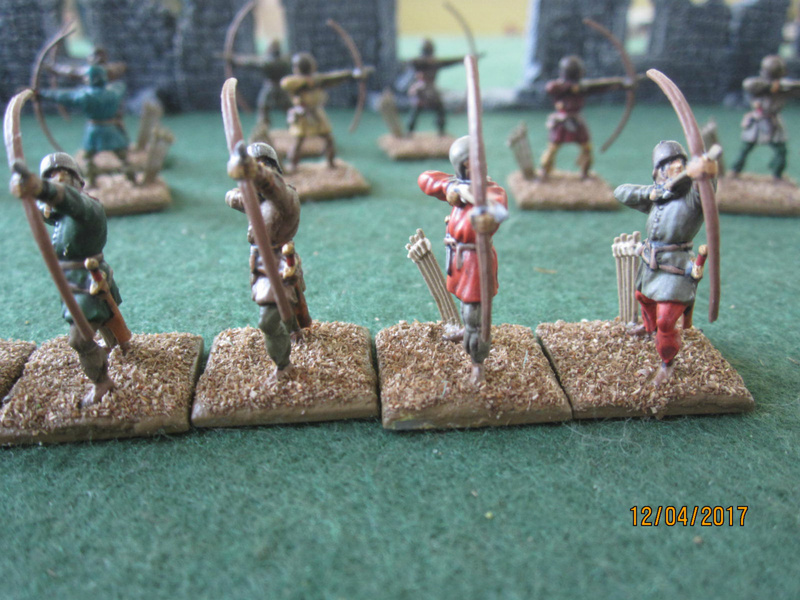 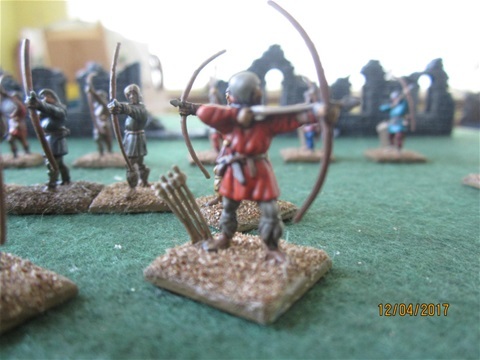 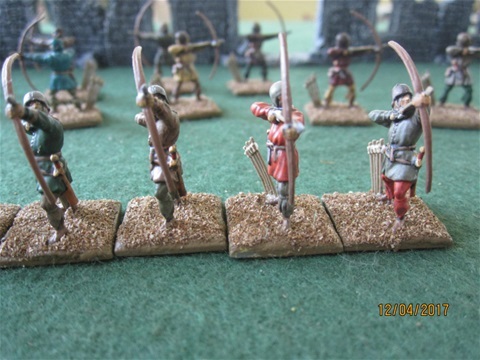 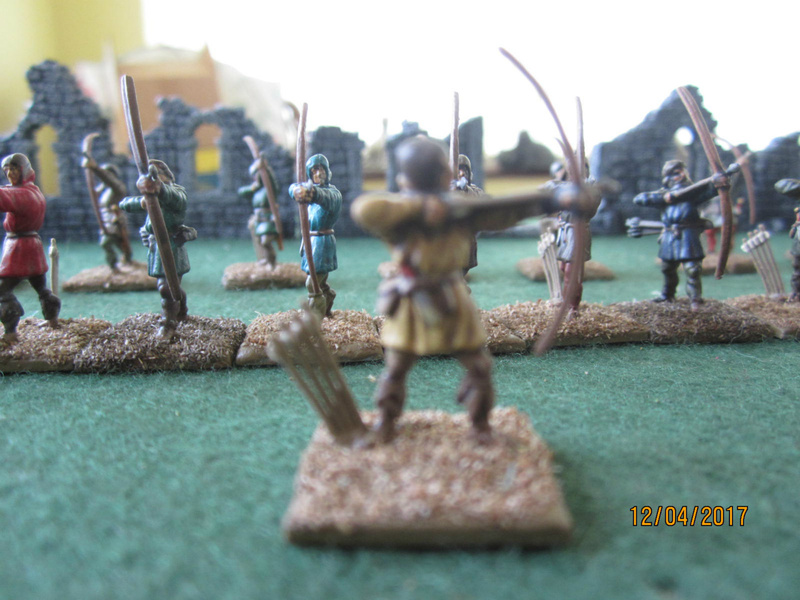 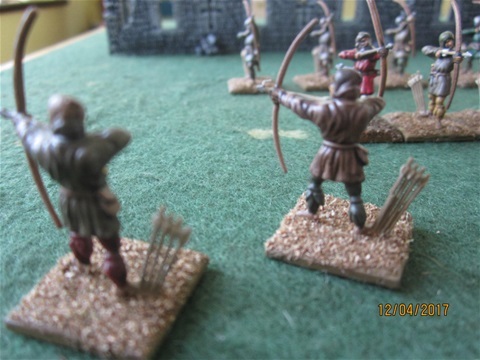 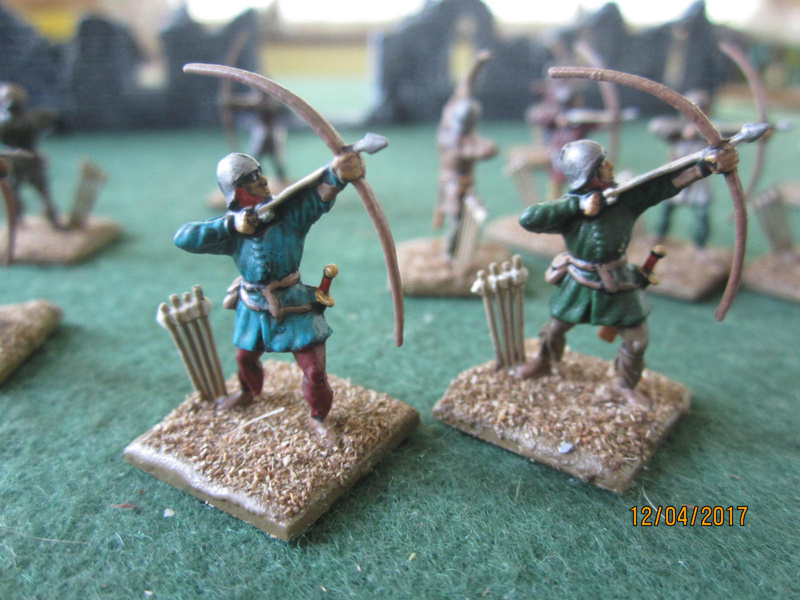 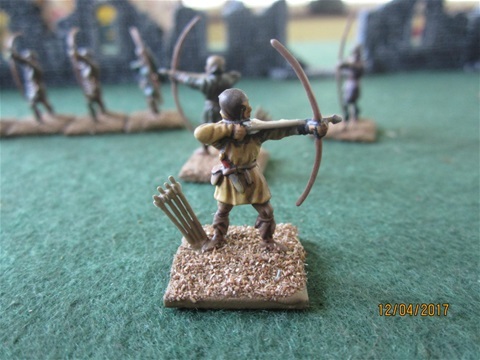 The longbow was the super weapon of the age, and by the later part of the war English armies often contained far more bowmen than men-at-arms or knights. 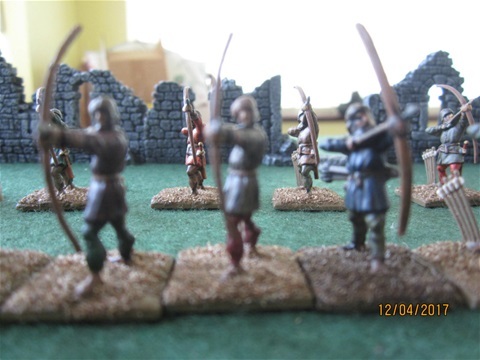 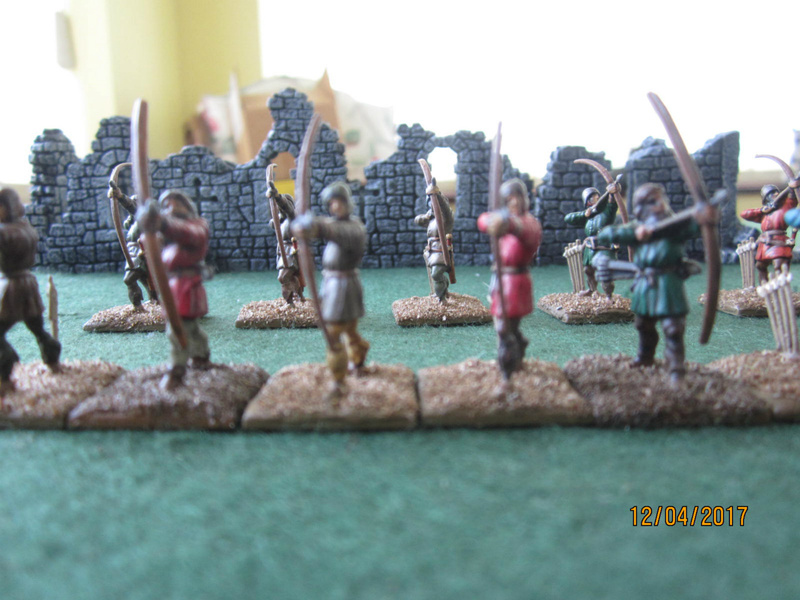 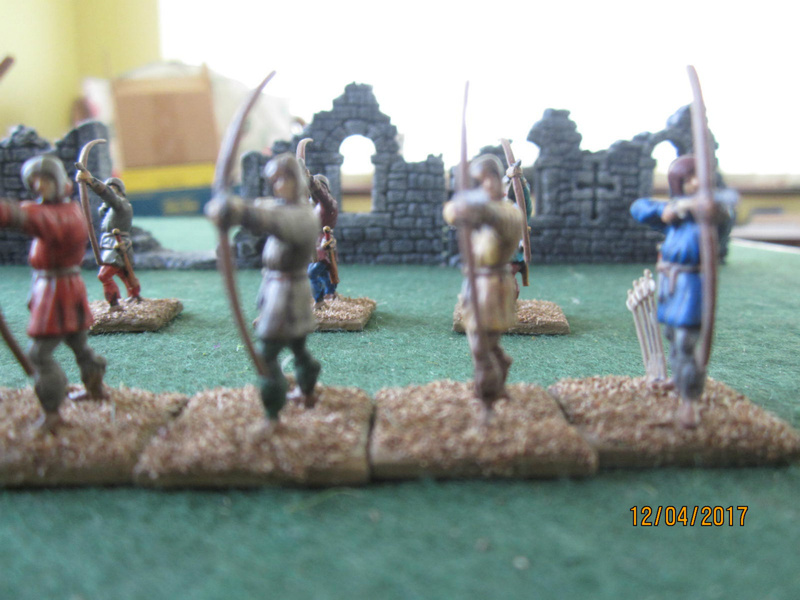 The bowmen are all in the act of fetching an arrow or drawing their bow. Costume is good with some wearing helmets but no other metal armour. 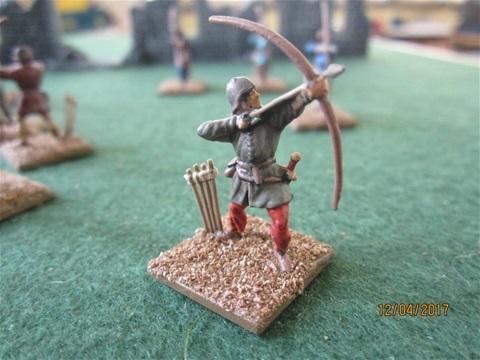 There are no quivers (which is as it should be), and arrows are either carried in bundles at the waist or stuck into the ground, close at hand when they are required, while the arrow is correctly held (an improvement on some earlier sets).